This statistic is based on a survey conducted among leading executives of U.S. healthcare organizations. It depicts the importance of the development of telemedicine services. 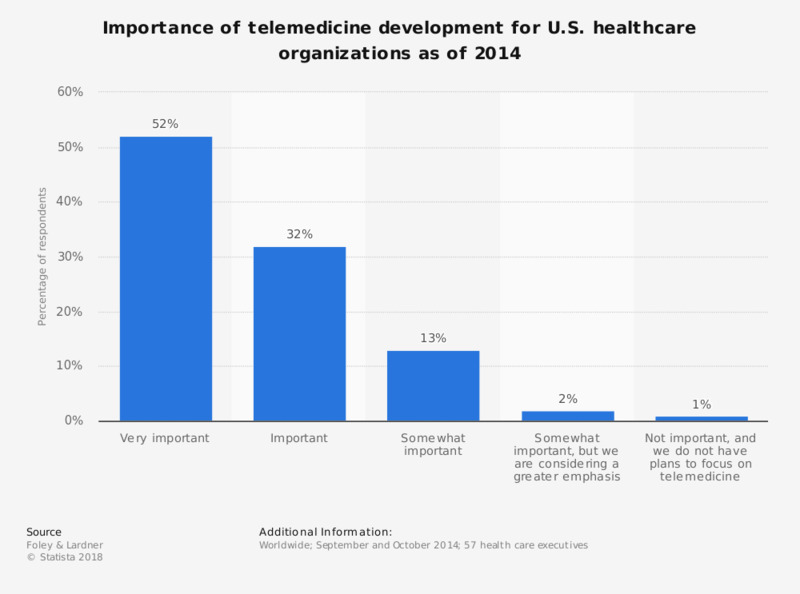 More than half of the respondents stated that the development of telemedicine issues is very important for their organization. Original question: "How important is the development of telemedicine services to your organization?"